I’ve just returned to the United States after five months as a visiting scholar at a major think tank in New Delhi. The stint was, for the most part, quite productive. But here are some of my more disturbing reflections on the state of India’s politics after having enjoyed a ringside seat for the past several months. First, corruption in India now extends from the everyday and the mundane to literally the stratospheric. At a quotidian level, three-wheeler drivers are unwilling to take trips using their metres, parking attendants reluctant to give you receipts for fees and policemen prone to harassing hapless drivers to extract bribes. Sadly, such minor infractions have long existed. However, as the financial scandals dealing with the Commonwealth Games and worse still the sales of the 2G spectrum as well as two land and real estate scams have revealed, corruption has now reached the highest quarters of the land. Not even the professional military, which was always deemed to be above the fray, now appear immune. Second, both statistical as well as anecdotal evidence suggests that economic disparities are on the rise. Such gaps in wealth and income are both cross and intra–regional. Statistical evidence suggests that a small handful of states confined to the west and the south now enjoy a per capita income that’s four-and-a-half times that of other, less fortunate parts of India. 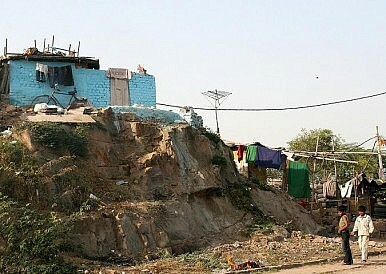 To witness regional income disparities one need look no further than the Dickensian conditions that prevail in the slums of New Delhi to the glittering restaurants of five-star hotels where one could easily imagine being in any global capital where one can sip fine Chianti while nibbling on Parma ham. Third, and this may be a more of a north Indian and urban phenomenon, but it’s clear that acts of violence against women are rising. To be sure, the Indian press is more attentive and vigilant to these issues. However, this disturbing trend can’t be conveniently written off a merely as a mere result of better reporting on such crimes. As greater numbers of women enter non-traditional occupations, and are therefore more in the public sphere, they seem to be more vulnerable to the depredations of men bereft of any moral compunctions. Sadly, with the appalling quality of urban policing in India despite much public outrage, these crimes are being perpetrated with seeming impunity. All these three trends should cause much concern to India’s policymakers as each of them is highly corrosive of India’s public life and ultimately the quality of its democracy. One can only hope that all three issues will merit some serious attention in the coming year.